Asparagus is in season. This makes me very happy! My daughter and I both love eating it raw and cooked, and have been eating tons of it these last few weeks!! 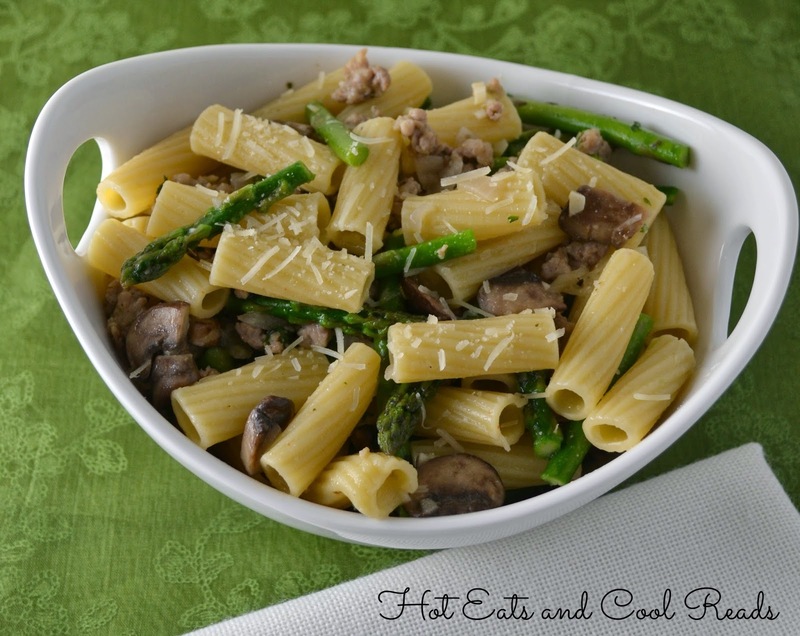 I was browsing through my asparagus pins on Pinterest looking for some asparagus pasta inspiration and came across a recipe from Creole Contessa. Have you ever visited her site before? If not, you are missing out! She has some amazing creations. 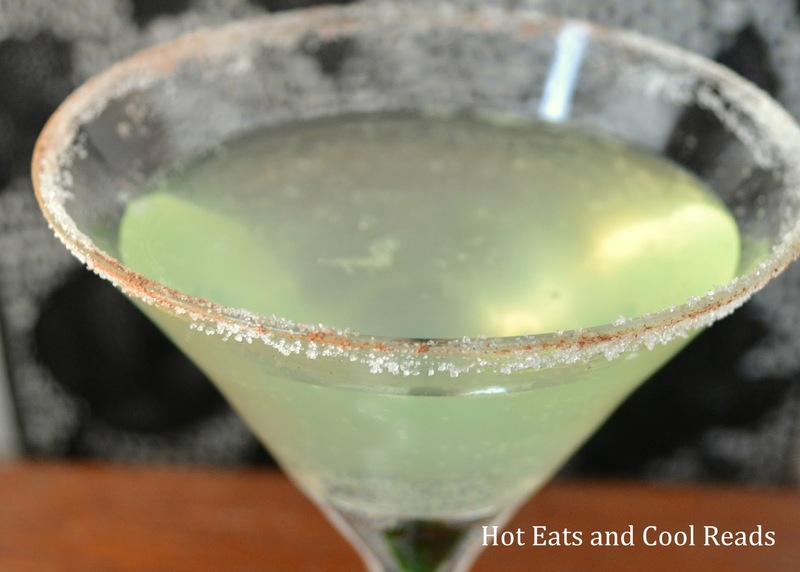 I adapted this recipe from one on her blog and I absolutely love how it turned out. 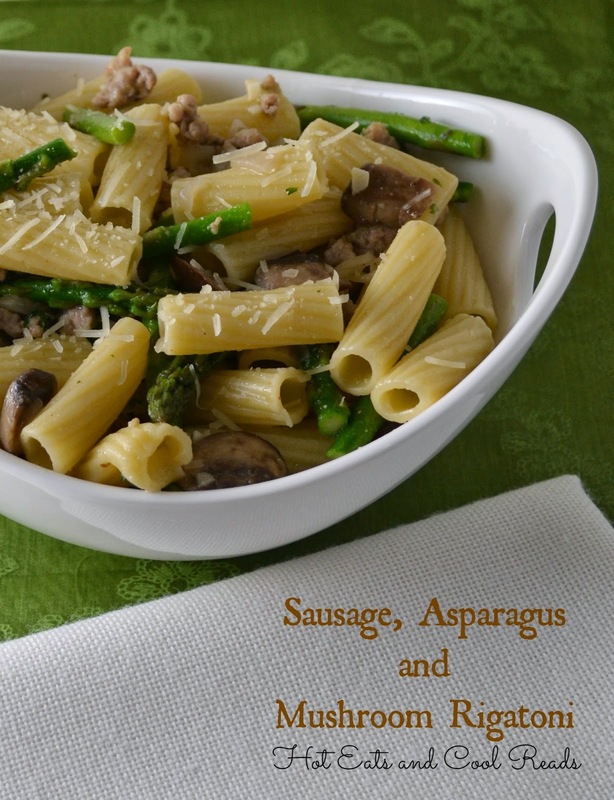 It has so much flavor and the sausage and asparagus go great with each other along with the light sauce. 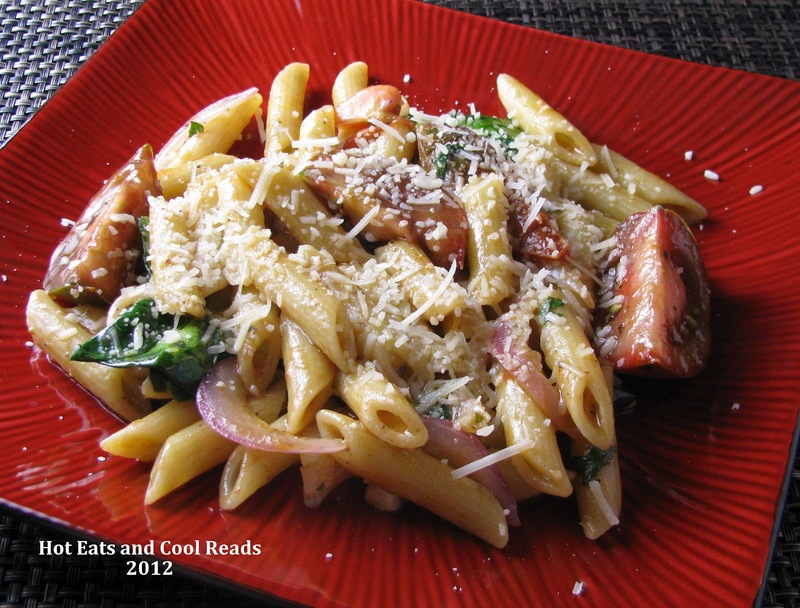 It's a great springtime dish and would be quick enough for weeknights. Cook rigatoni according to package directions. Reserve 1/4 cup pasta water. In a large skillet, Cook the Italian sausage, onion, garlic, creole seasoning and onion powder until sausage is cooked through. Within the last few minutes, add the baby bellas to saute. Then, add the asparagus, chicken broth, pasta water and cook for about 5 minutes, until asparagus is tender. Stir in 1/4 cup parmesan, parsley and cooked pasta and heat through. Serve topped with remaining 1/4 cup parmesan. This pasta looks wonderful! I'd love for you to come share at Simple Supper Tuesday. 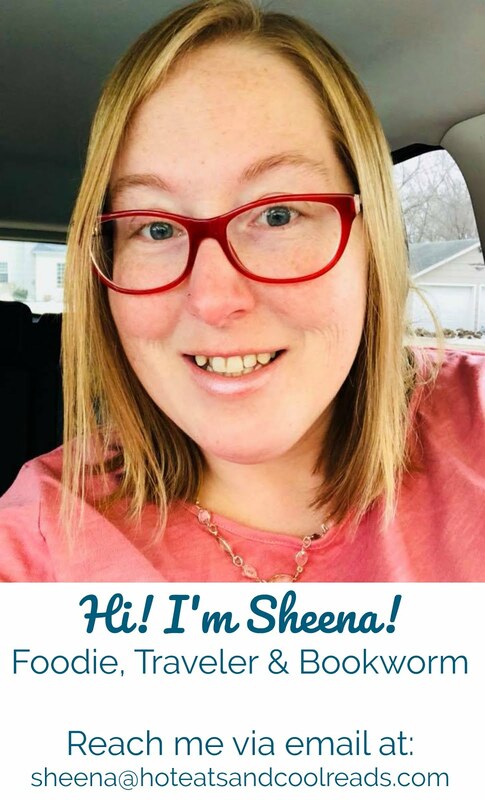 Delicious, Sheena! :) What a lovely idea & I bet the combination of sausage & asparagus works really well, too!